A lot of people especially the women are finding it difficult to reduce the excess fat in their body. 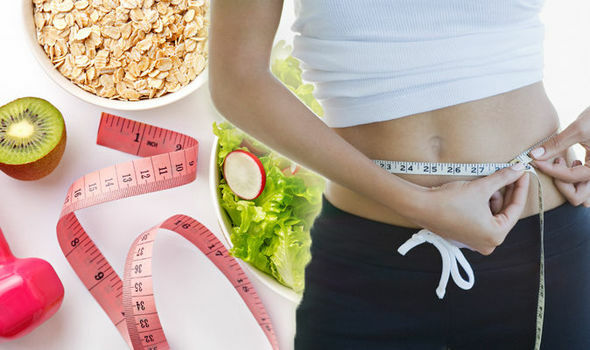 We are bring to you the ten simple method to loose weight in 10 days. This is a great way to lose belly fat in one week. We suggest that instead of eating 3 full meals and overloading your digestive system, you should switch to eating smaller portions about 2 to 3 hours apart. Benefits would be less expansion of your belly and a supercharged metabolism which will burn up more fat. These high- fibre vegetables are good for the body, but lethal to your body shape. We would suggest that you eliminate them from your diet during this week as they cause gas and bloating. However, you may gradually re-introduce them into your diet after a week. Dairy products, especially in lactose intolerant people cause uncomfortable gas conditions and bloating. This happens because they have difficulty digesting ‘lactose’, the sugar found in dairy. We suggest that you have yogurt and stick to smaller portions of milk and its products. It will also be great for your shape if you eat milk products along with other foods. High potassium foods like avocados, bananas, papaya, mango, cantaloupe and yogurt have a number of bloat-reducing benefits. This is because potassium is a natural diuretic that helps reduce water retention and puffiness. Berries are great fat-fighting foods. Science proves that these stop fat cells from getting bigger. These also help fat cells in producing ‘adiponectin’, a hormone that helps reduce inflammation while lowering blood sugar. Nuts can also help to keep your tummy taut. Research shows that people who eat nuts twice a week are much less likely to gain weight than those who don’t. Green tea comes packed with antioxidants called ‘catechins’ which are known to reduce belly fat. We suggest that you binge on green tea before you workout. Smoothies are a great way to stay healthy and hydrated. They are easy to make and one of the best ways to start your day. We suggest watermelon smoothie, as this fruit is rich in an amino acid called ‘arginine’ that is known to decrease body fat and increase lean muscle mass. A pineapple smoothie piles you up with ‘bromelain’, an enzyme that helps break down protein and banishes bloating.